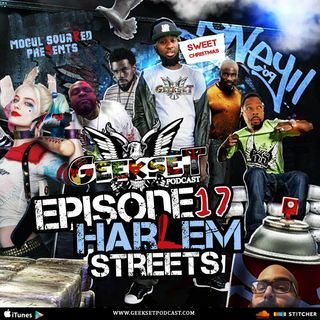 The Geekset crew get together to talk about the rising popularity of Anime in the US. The talk about Bugs Bunny catching a body and cartoon violence from back in the day to now. Listen as the crew gives a Luke Cage SPOILER review and see why Poindexter was a little disturbed by Shades & Mariah's relationship & more. CONGRATULATIONS TO GEEKSET SURPASSING 2,000 LIKES ON THEIR OFFICIAL FACEBOOK PAGE!